Saturday - RTL type introduced. Route revised to run Orpington to Sidcup - routeing as above. SRT type withdrawn. 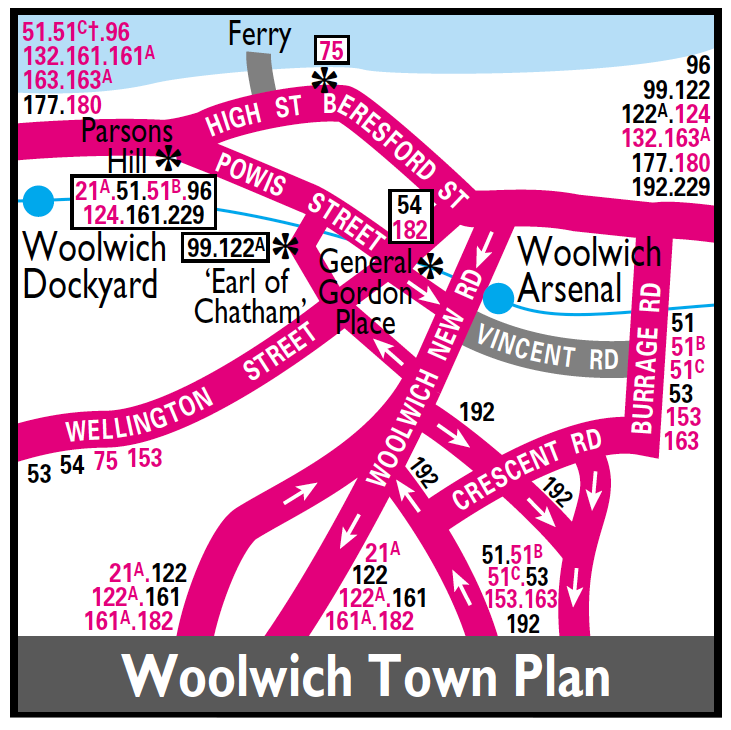 Extended from Bexleyheath to Woolwich via withdrawn trolleybus 698. Mon-Fri peak extension from Woolwich to Charlton withdrawn. Converted to One Person Operation with double deck buses. Withdrawn between Green Street Green and Farnborough - replaced by new Route 261. Sunday service replaced by New Route 299 running between Green Street Green and Eltham via withdrawn 229 and 228. Sunday service re-instated with the 299 withdrawal. Leyland Titan replaced by Leyland Olympian. Withdrawn during evenings - early Saturday mornings and all day Sundays. Withdrawn between Bexleyheath Market Place and Bexleyheath Garage. ROUTE OPERATED UNDER LRT Tender. Sidcup Garage closed - route transferred to Bexleyheath (BX) and terminus changed at Foots Cray. 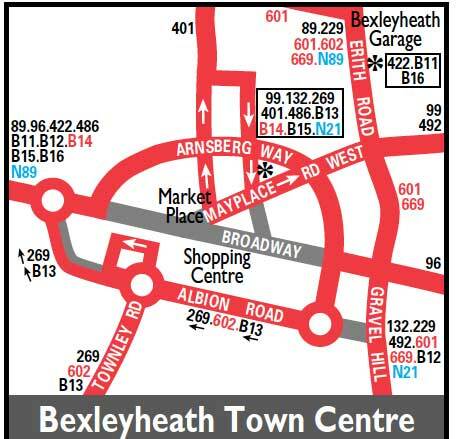 Extended from Bexleyheath to Erith Monday to Saturday instead of just Mon-Fri peaks. Diverted at Sidcup to Queen Mary's Hospital instead of Foots Cray. Extended from Erith to Thamemead via Belvedere - Abbey Wood and Crossway. Diverted between Bexley and Bexleyheath via Bourne Road instead of Townley Road. Sunday service converted to double deck. the overall effect between Bexleyheath and Queen Mary's Hospital being to replace the newly-withdrawn 726. Changeover point Foots Cray Post Office. The relief point is either Erith-(during the day) or Dartford garage-(out of service) at night. On Saturday evenings from 23rd January until 17th September we have one 229 journey that had its relief at Bexley library. The driver coming to and from DT for and from their relief.